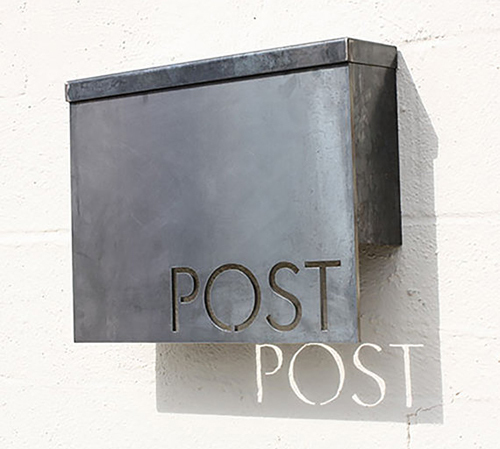 Besides white washed floors, another item I yearn for in my home is a cool mailbox. Someday, I suppose. Until then, I will lust after the steel, modern beauties made by Bold MFG in Austin, Texas. I particularly like their offerings with the classic 'Post' or numbering- and for some of the models, when the light hits it just right, will shed a cute shadow on the wall. See all of Bold MFG's creations, which include larger scale steel mailboxes and house numbers, here.